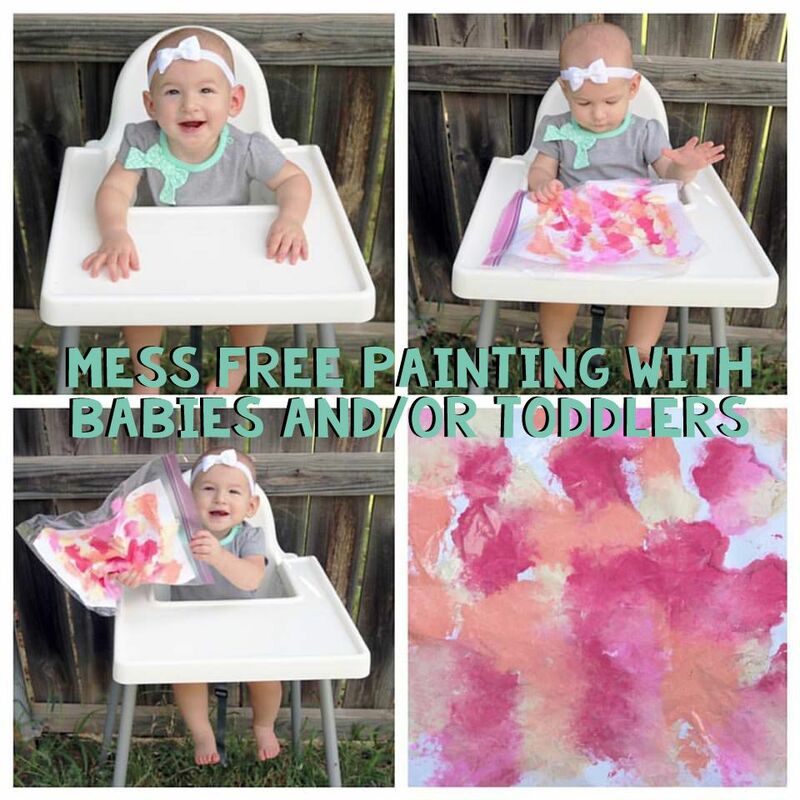 Okay, so this isn't exactly the most original or most creative tutorial ever, but we have enjoyed it, and if someone else can benefit from this mess-free baby/toddler painting, then I want to share! Annabelle has painted twice so far - once way back in July for her Grammy's birthday and then again in November for her Great Meme's birthday! She loved it both times, and so did the recipients! 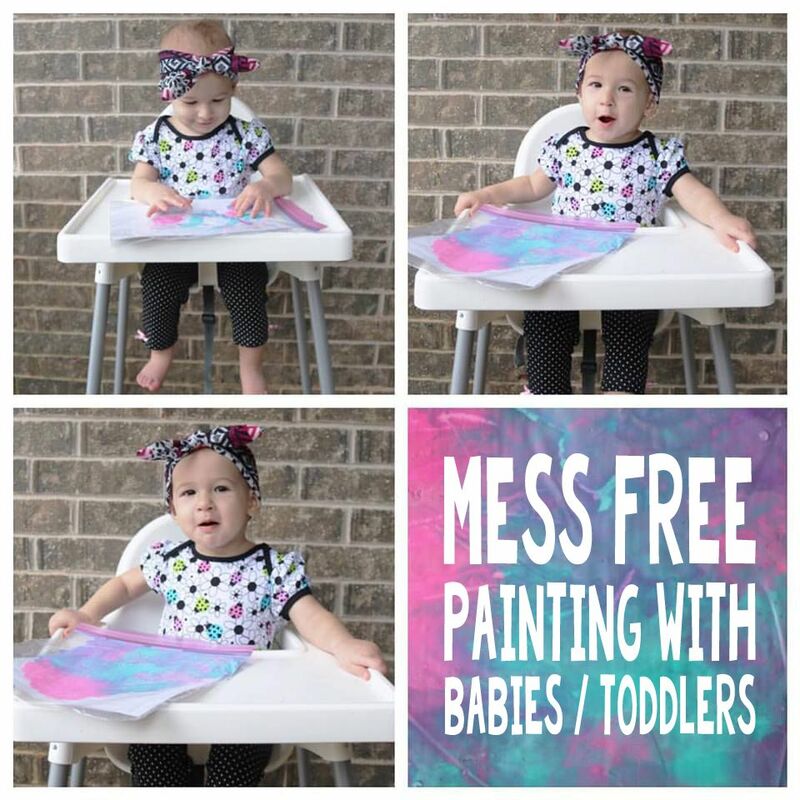 I mean... what more can you ask for than original masterpieces from the cutest little baby you adore, right?! And I loved it because I didn't have much prep or clean-up, and I got to watch my smiley little girl have fun doing something creative that isn't the same old / same old! This idea is super easy, but I'll break it down for you because I definitely know how busy moms are, and the more things are spelled out, the easier they are. 1. Prep cardstock by trimming about an inch off of one side so it fits inside the zip-top bag. 2. Squirt small dots of various colors of paint onto the cardstock. Make sure to spread the paint dots out evenly over the entire sheet of cardstock if you want the entire piece to be covered in the end. 3. Secure the paint by closing the top of the zip-top bag. 4. Tape the bag down to the high chair tray IF YOU WANT. I would recommend this if your kid is a wild child... but mine is too (she loves waving things around and throwing them), but I choose to let her play with the bag since it's sealed shut - but for an even easier experience (especially if you want pictures), you can tape it down - easy peasy lemon squeezy! 6. You CAN pull the cardstock out of the bag if you want to frame the original... but I recommend cutting the zip-top bag down so the cardstock doesn't rip (since it's wet with paint!) when pulling it out. If you wait for it to dry, it will be nearly impossible to get out because the plastic will stick to the paper. What I have done, however, if take pictures of her painting and then a good, close-up photo of the painting itself, and then have three pictures printed - two of her painting and then the actual painting photo - and then put those in one of those multiple opening frames (I have used 4x6 frames from Walmart both times, but you could do any size). What more can you ask for? A fun time AND a little bit of education thrown in! Guys... I think this is what teachers who become stay-at-home-moms do. Educational activities all the time. At least I try to keep it fun! 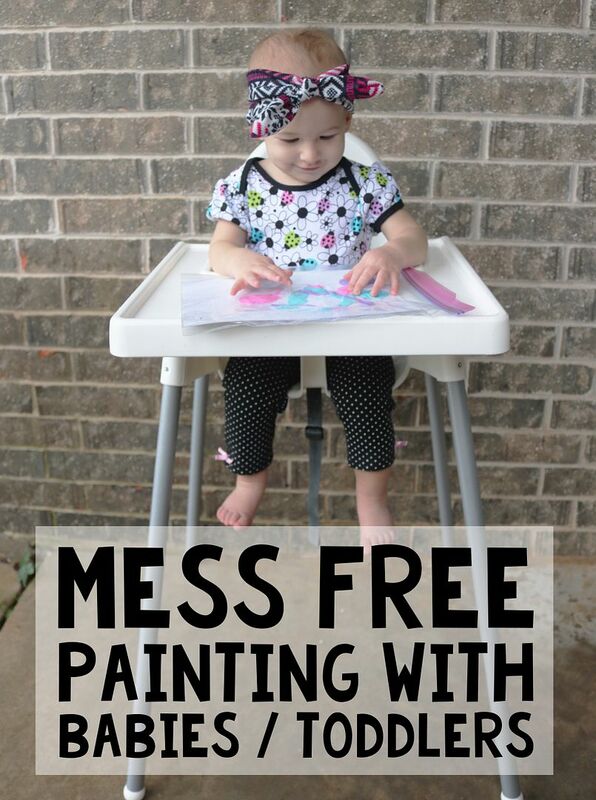 Have you ever painted with your kiddo? What are some of your favorite sensory activities to do with your child?